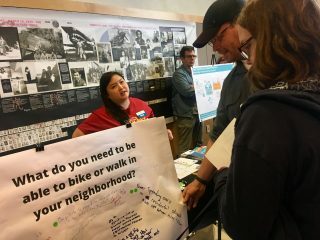 People had plenty of feedback to share at the first of two open houses held at Midland Library on SE 122nd Avenue last night. Scott Dalton’s wife was walking home from Safeway in December 2017 when a person driving a car struck and killed her. Dalton, a retired journalist, has lived in east Portland near 117th Avenue, for twenty years. 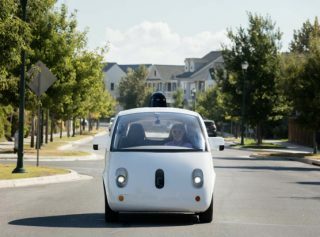 In that time he’s seen a steady stream of people die while walking or biking. This year alone, five people have been killed while walking in the neighborhoods east of I-205. 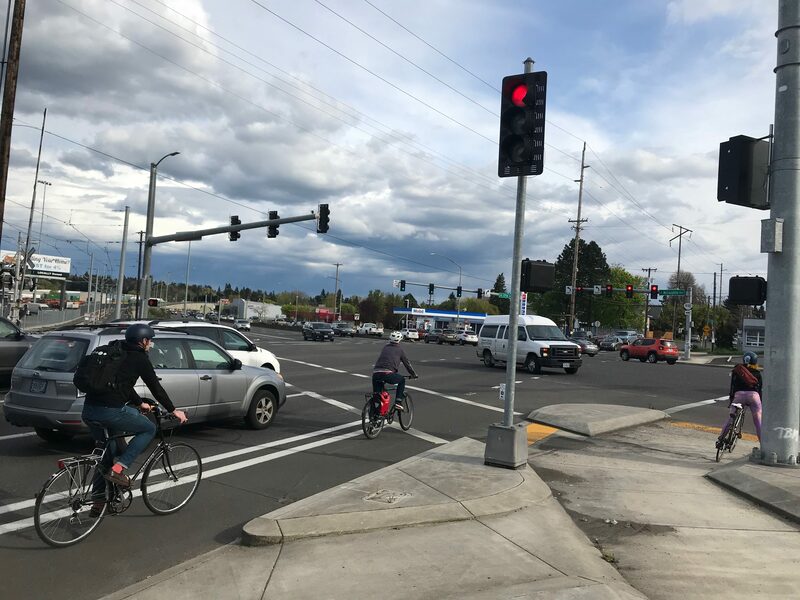 Dalton showed up at the Portland Bureau of Transportation’s open house Wednesday night hopeful that a slate of new projects will finally bring change to the neighborhood. In the past four years, PBOT has pumped $255 million into its “East Portland in Motion” projects, many of which will break ground in early 2019. NW Raleigh is one of the many greenway routes in Northwest that has fallen victim to too many drivers. 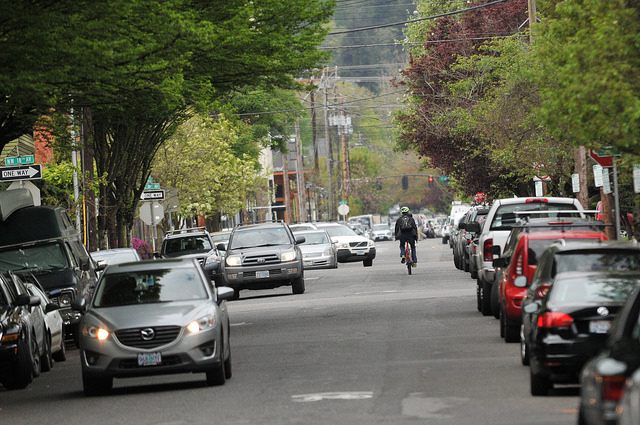 This story is by BikePortland contributor Caleb Diehl.